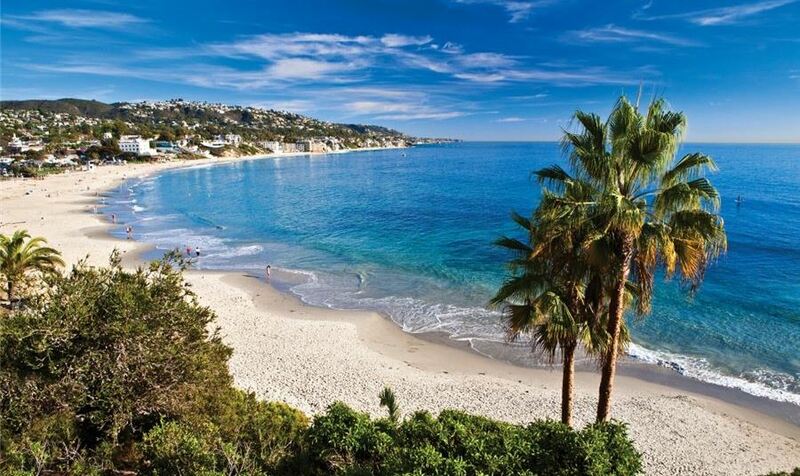 The Desert Palms Hotel and Suites is only a 20-minute drive to the beautiful Newport Beach. Spend the day in the sand enjoying the sun and waves. Walk along the famous Newport Pier and watch the surfers cut through the waves. Newport beach is also a great area for shopping and dining. Want something with a little more action? Take a drive down the beachfront to Balboa Island where you’ll find a great spot for family activity. Right along the ocean your kids can enjoy an arcade, Ferris wheel, fun house, and other attractions that will make a memorable visit. Many fishing and whale watching tours also leave from this location, or you can rent a small boat to sail around the harbor. For a great sunset, you can travel back up the coastline along the Pacific Coast Highway and end the day at Huntington Beach, the famous “Surf City”. Watch a beautiful sunset from the sand or the Huntington pier. There is also a Ruby’s Diner at the end of the pier where you can grab some handmade shakes or enjoy a dinner with a view. If you’re lucky you may see some dolphins out your window!